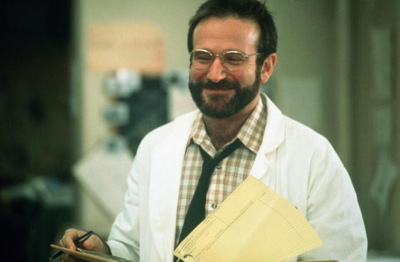 If news headlines were to be believed about the autopsy findings of beloved actor/comedian Robin Williams, who tragically committed suicide nearly two months ago, no drugs were found in his system at the time of his death, as evidenced by headlines from USA Today, NBC News, the BBC and others proclaiming “no alcohol or drugs” were found. These headlines couldn’t be more wrong. The medical examiner’s report cites an antidepressant drug was in Williams’ system at the time of his death. The particular antidepressant, Mirtazapine, (also known as Remeron) carries 10 international drug regulatory warnings on causing suicidal ideation. According to the autopsy results, not only was Williams under the influence of antidepressant drugs, but the powerful antipsychotic Seroquel was also found at the scene and appears to have been recently taken by Williams. While toxicology tests apparently were negative for the antipsychotic Seroquel, the fact remains that a bottle of Seroquel prescribed to Williams on August 4th, just seven days prior to Williams’ suicide, was missing 8 pills. The Seroquel instructions advise to take one pill per day as needed. Side effects associated with Seroquel include psychosis, paranoid reactions, delusions, depersonalization and suicide attempt. Food and Drug Administration’s Medwatch Adverse Drug Reports include 470,000 adverse reactions for psychiatric drugs between 2004-2012. The FDA admits only 1% of side effects are ever reported to them, so the actual number of reported side effects is assuredly much higher. Mirtazapine (also known as Remeron) carries the Food and Drug Administration’s (FDA) “Black box” warning for suicidality. 90,000 emergency room visits are attributed to psychiatric drugs each year in the U.S.
23,755 suicides are attributed to psychiatric drugs each year in the U.S. alone. In addition to suicidal ideation, documented side effects of antidepressants by international drug regulatory agencies include hallucinations, delusions, worsening depression, depersonalization, mania, psychosis, self-harm. Given the above data, one can only wonder why Williams’ psychiatric drug use has effectively been dismissed by reporting organizations. A careful review of Williams’ psychiatric “non-drug” use paints a very different tragic story. The fact is that two of the drugs Williams had been prescribed list suicidal thoughts as possible side effects. The Seroquel he was prescribed (and appears to have taken in the week prior to his suicide), and the antidepressant that was still in his system at the time of his suicide. Moreover, considering the FDA’s Medwatch drug adverse event reporting system recorded 411 attempted and completed suicides associated with the antidepressant Mirtazapine alone (and the FDA estimates only 1% of side effects are ever reported to them), it becomes even more bizarre that the world’s press ignore even the possibility that these drugs could be involved in Williams’ suicide.